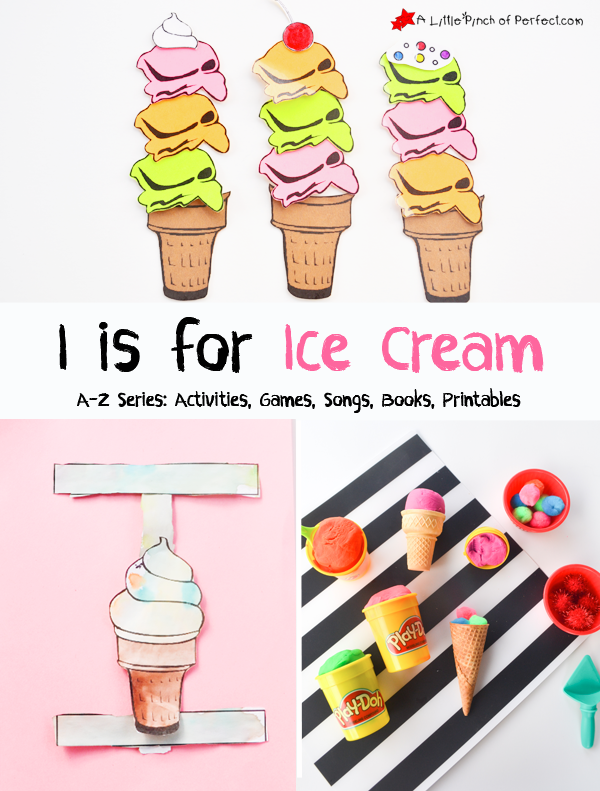 Today I’m sharing our I is for Ice Cream activities including letter I sight words, letter I craft, Ice cream sensory play, and an ice cream shop FREE printable for learning and pretend play. 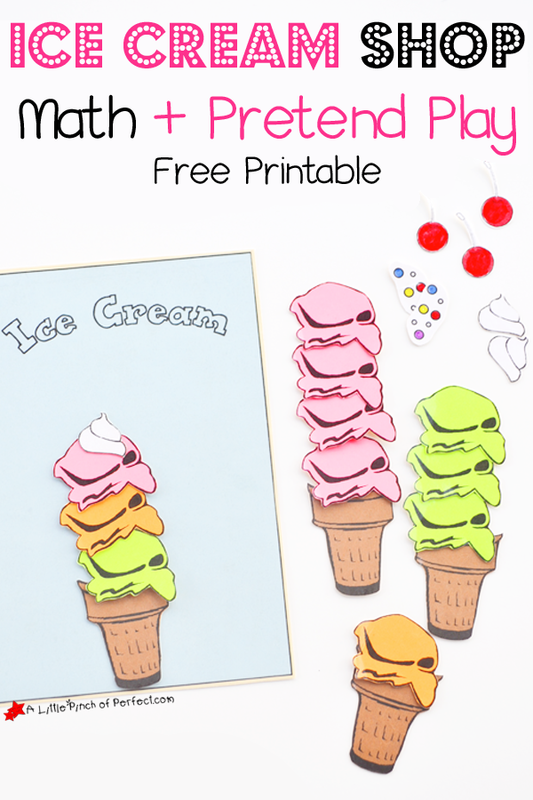 You might also want to make a batch of our Ice Cream Play Dough Recipe that is taste safe and smells just like ice cream, make Ice Cream in a Bag for a tasty treat, and make an adorable Ice Cream Handprint craft. 1. Cut out the rectangles and glue together to form an I. 2. Decorate the ice cream cone (we painted ours with water colors) then glue it to the top of the letter I. If you need a play dough, here is our awesome Ice Cream Play Dough Recipe that smells just like ice cream and only needs 2 ingredients. 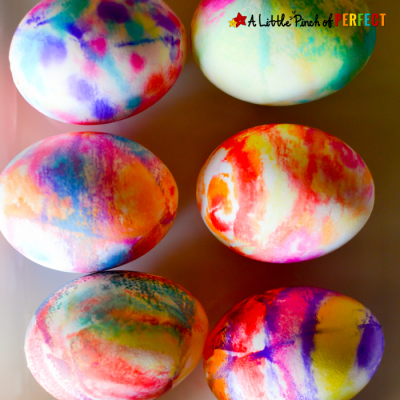 We used the small side of plastic Easter eggs as ice cream molds. They made the perfect dome shaped play dough ice cream ball. 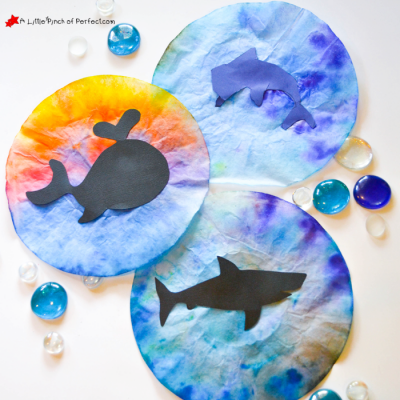 As they played we talked about color, size, shape, and texture. The point was to have fun. 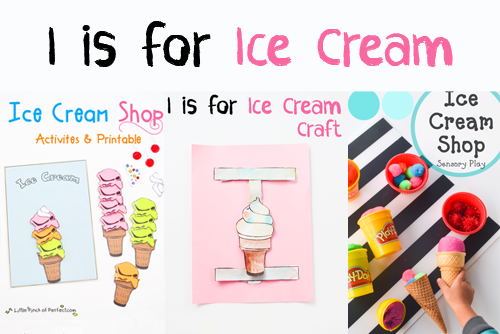 To Prep the Activity: Print the ice cream scoops on colored paper, print the ice cream cones on brown paper, print the toppers on white paper and then you can color them as desired. 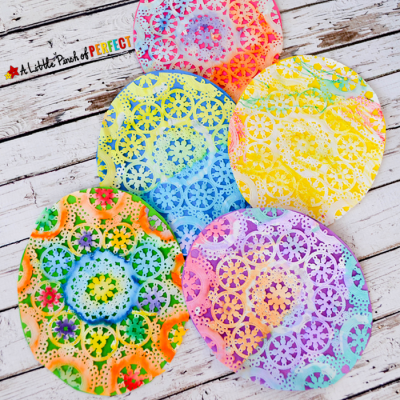 I suggest laminating your pieces to keep them good for multiple uses. 1. Place an ice cream scoop onto 1-3 cones, then ask child to find the matching scoops and place them on the ice cream. 1. 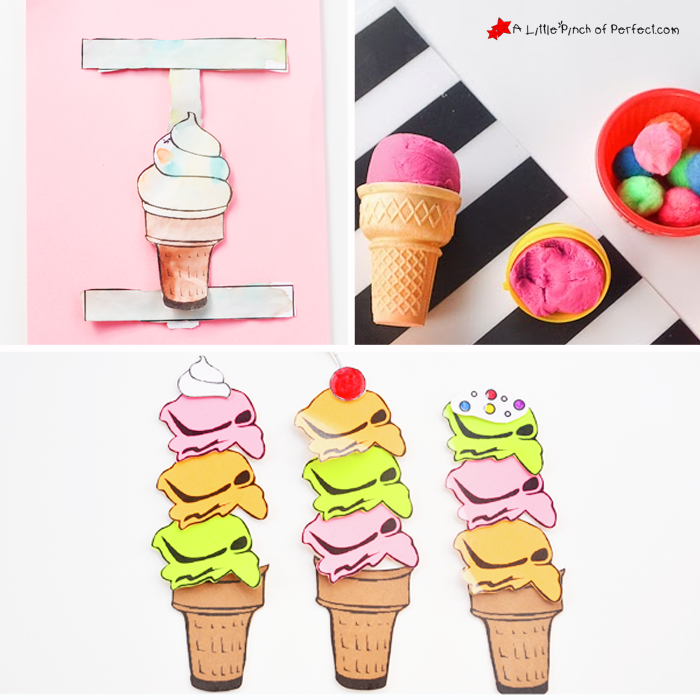 Create a one-of-a-kind ice cream treat, and ask child to make the same one. To help with the ability to observe and copy. 1. 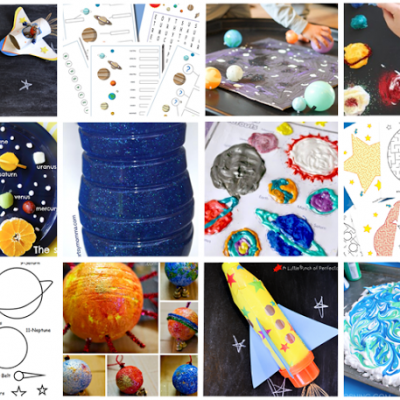 Place a number in front of the child and ask them to make it. We counted the number of ice cream scoops together and then she placed them on her ice cream cone. 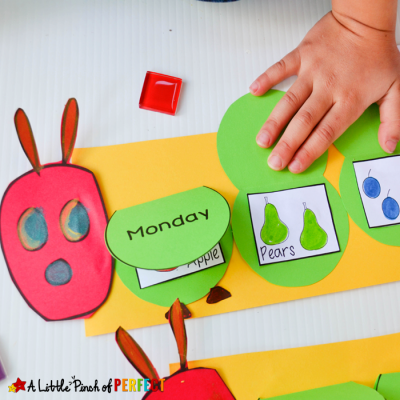 By seeing the number and the amount of scoops, this activity helps with quantity concepts. She loved the ones with lots of scoops which was great because that meant more counting! 1. Get creative and pretend to be at an ice cream shop. Make your own menu items and play. My son really enjoyed this part. If I would have been thinking, I would have pulled out our cash register to add to the scene. Eventually all this talk of ice cream resulted in us eating some ice cream :). The perfect way to end our I is for Ice Cream day.